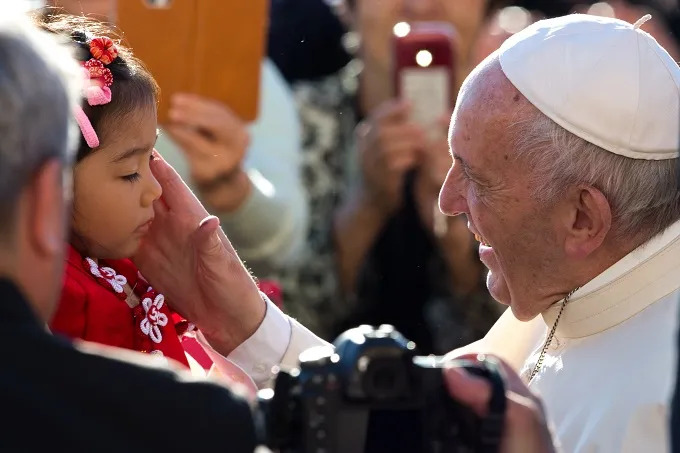 Vatican City, Oct 14, 2017 / 06:13 am (CNA/EWTN News).- On Saturday Pope Francis said that to share God’s love with the world requires action and service – and that we can’t just sit around and wait for other people to perform our vocation. Pope Francis spoke to members of the Vincentian Family during a celebration in St. Peter’s Square Oct. 14 celebrating the 400th anniversary of the start of the charism of the Vincentian Family, a group of organizations founded by or under the inspiration of St. Vincent de Paul. The meeting was part of a week-long symposium in Rome which included Mass, prayer services and talks. 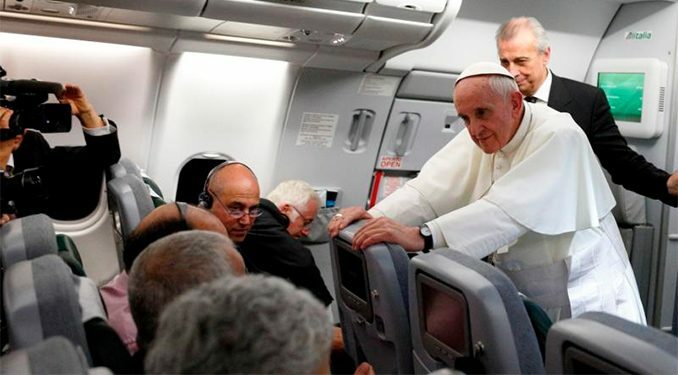 In their audience, Francis said he wanted to encourage the members of the Vincentian Family to continue their journey of charity. 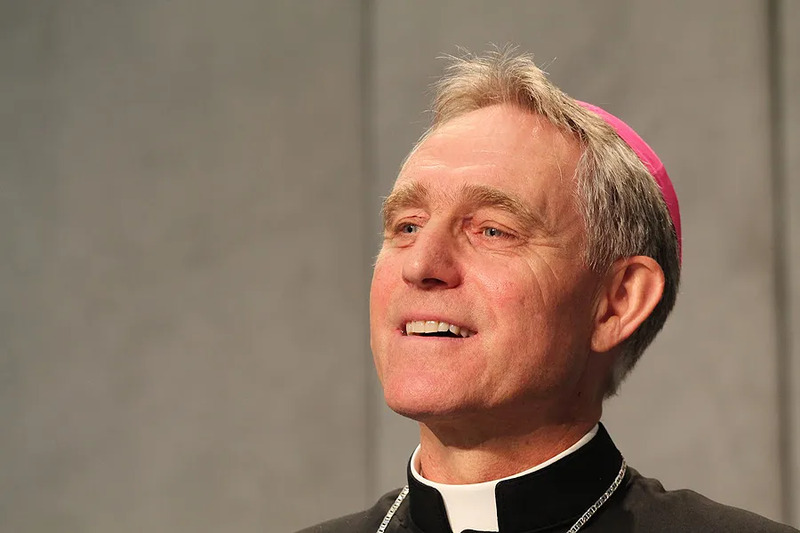 Besides the verb “to go,” he offered two other simple words he said are of great importance for “the Vincentian spirit but also for Christian life in general:” To worship and to welcome. For St. Vincent, worship of God, or prayer, was essential, the Pope said. There are many invitations from him in his writing encouraging us to cultivate an inner life, devoting ourselves to prayer, which “purifies and opens the heart,” he said. St. Vincent considered prayer like the compass of every day, the “manual of life.” Only through prayer can we draw from God the love that we then pour into the world, he continued. But the saint didn’t consider prayer a set of formulas or a sterile duty, he continued. Prayer, for St. Vincent, was to stand before God, being with him and devoting yourself to him. “This is the most pure prayer, the one that makes room for the Lord and his praise, and nothing else: adoration,” he said. “Here is adoration: to stand before the Lord, with respect, with calm and in silence, giving him the first place,” abandoning oneself with confidence. Whatever the situation or problem, those who spend time worshiping God can’t help but be “contaminated” by the living source of love, he continued. Which makes us want to treat others like we have been treated by the Lord. When we think of the verb “to welcome,” we often think of doing something, like performing an act of hospitality or the like, Francis said. But it actually has more to do with a way of thinking. The Christian is truly welcoming who sets aside his or her own ego in favor of sowing peace and concord and communion, even when not reciprocated. “Thank you for moving in the streets of the world, as St. Vincent would ask you today,” the Pope concluded. I hope you continue to draw God’s love from adoration, spreading it throughout the world, through the “good contagion” of charity.